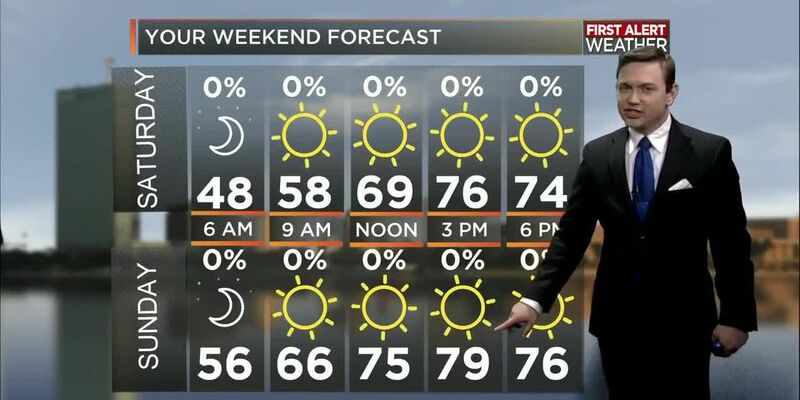 LAKE CHARLES, LA (KPLC) - Our crisp cool and dry feel is about to be gone as onshore winds return the humidity and bring a few additional clouds to the area today although rain chances hold off another day, so our Tuesday won’t be all that bad considering that storms will be on the return later this week. Temperatures by this afternoon will top out near 80 with gusty south winds at times. As a result of southerly winds and increasing clouds tonight, temperatures won’t be as nippy when you wake up Wednesday morning with lows tonight in the 60s. 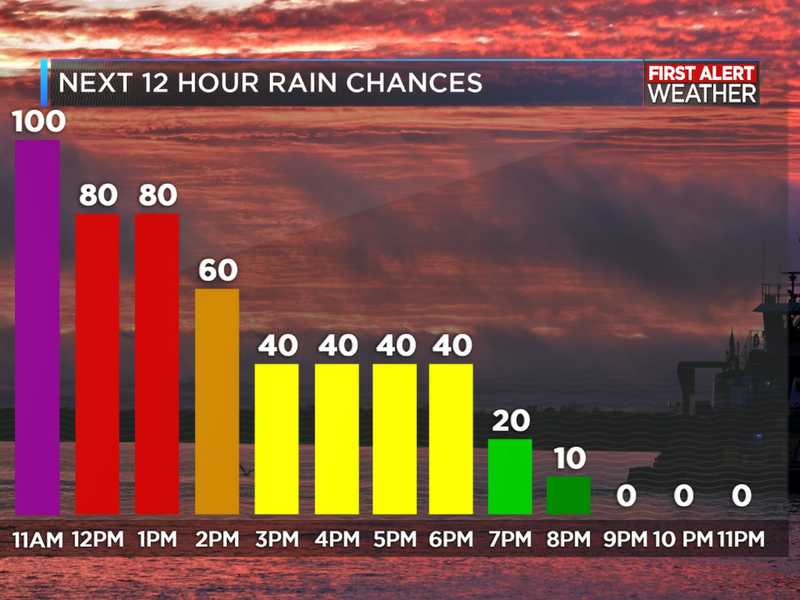 Wednesday will bring more clouds than sunshine and an isolated shower or thunderstorm during the afternoon with higher rain chances holding off until Wednesday night, especially after midnight. This next storm system will bring another round of strong to severe storms to the region with the bullseye of storms on Wednesday targeting the the Dallas/Ft. Worth area through the ArkLaTex. 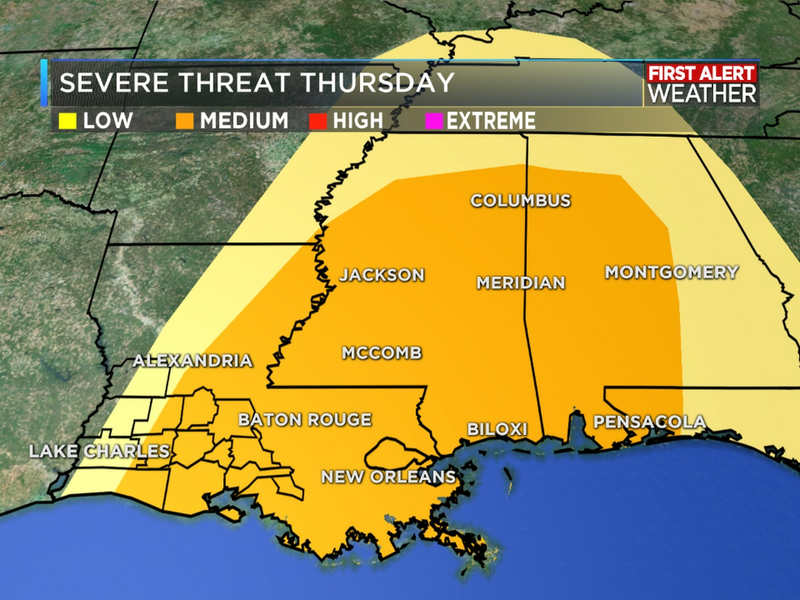 This threat will shift east Wednesday night into Thursday morning as a line of strong thunderstorms accompanies the cold front that will move through Southwest Louisiana. 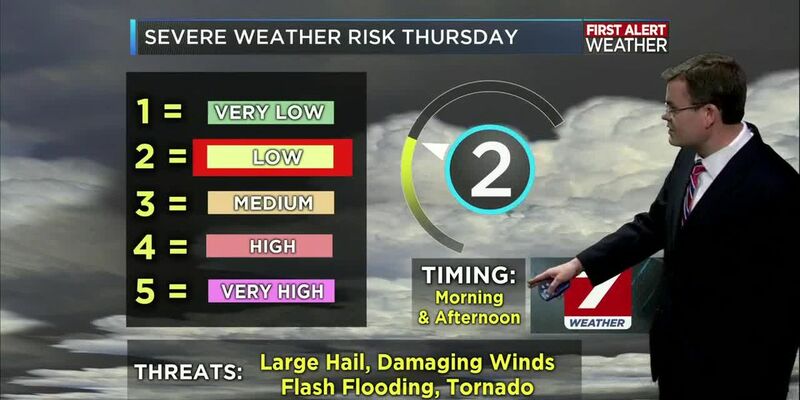 Storms Thursday could be severe with damaging winds, hail and an isolated tornado possible, so pay attention to the forecast over the next couple of days ahead because there is a chance again that the bulk of the strongest storms and heaviest rains may pass off just to our north and affect mainly northern Louisiana. 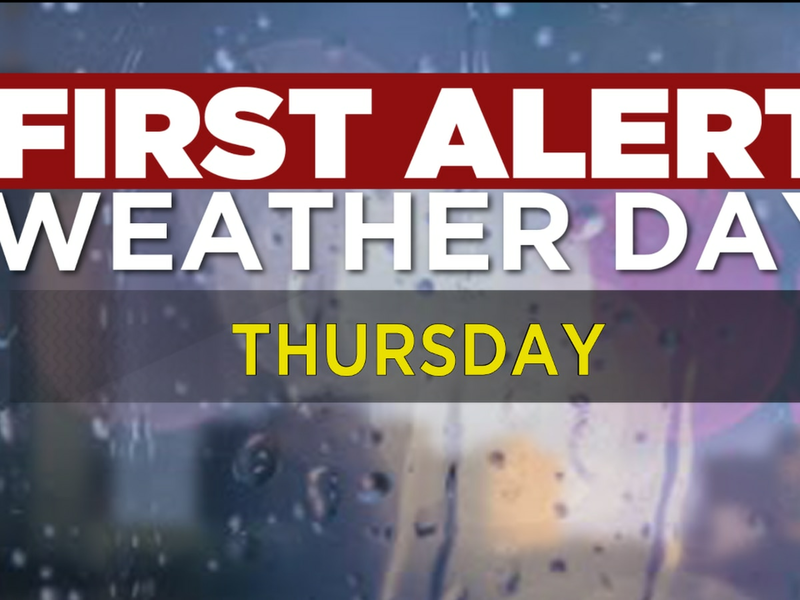 Rainfall totals of between ½ and 1 inch will likely accompany the cold front early Thursday morning. 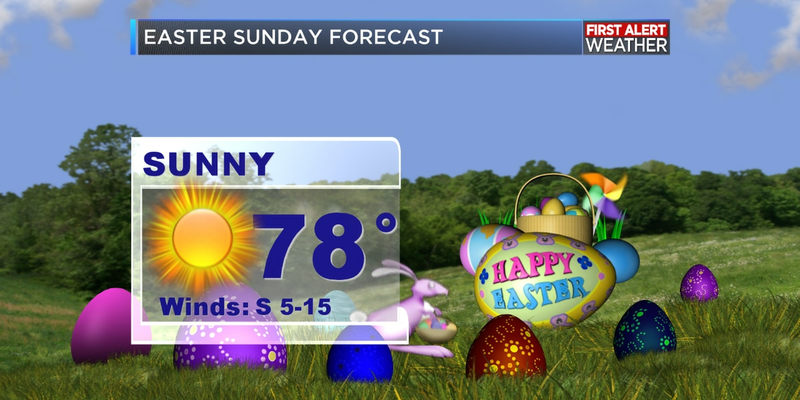 The good news is this severe weather threat will quickly pass by Thursday afternoon and evening with a pattern of quieter weather for Friday and the upcoming weekend which looks to be very nice with sunshine and pleasant temperatures through Easter. Another round of showers and thunderstorms returns again by the middle of next week through Friday. Ben Terry has been the morning and midday meteorologist at KPLC since 2011. A 2006 graduate of Mississippi State University's on-campus Broadcast Meteorologist program, Ben began his broadcast career over a decade ago in Jackson, Miss. where he produced and broadcast local weather to over 30 affiliated TV stations.